The very definition of aesthetic is to have a sense of the beautiful. Therefore, proportion and symmetry is everything in this style of bodybuilding. Sheer size and power have no place where mortals walk in the image of Greek gods. Every single muscle fiber must work in harmony to create a jaw-dropping perfect physique. Just like one wrong note can ruin a sonata, or a single bad brush stroke can trash a masterpiece, there is no room for error. Aesthetic bodybuilding is a quest to rival Adonis himself. These men are not the hulking, cartoonish sacks of freak muscle-tissue many believe bodybuilders to be. They’re the product of expert craftsmen, who sculpt works of art from their own body, not an ugly piece of stone. When most average men speak of their ultimate body they’ll often refer to aesthetic bodybuilders. A slim waistline, defined abs, big intimidating arms, and a single digit body fat percentage runs through their imagination. For women, this is the iconic stereotype of a dream man to set their heart rate pounding. Strong, handsome, powerful, and the pinnacle of alpha maleness. 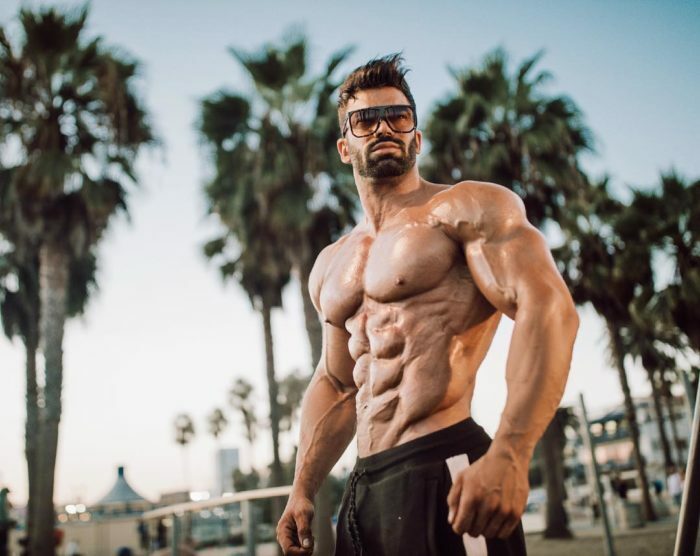 An aesthetic bodybuilder still looks like he belongs on planet earth, but more like Hercules instead of a regular human. Creating, maintaining, and perfecting an incredibly aesthetic physique is an art. Just like Michaelangelo or Van Gogh understood the principles of artistry, so does the aesthetic bodybuilder. One of the key fundamental laws is to have an understanding of the Goldilocks principle. Think back to childhood and recall the age-old story if you can. Goldilocks finds three bowls of porridge on the table of the bears, and only one is ‘just right’ Not too hot, not too cold, but a beautiful balance or heat, taste, and texture. The same goes for building muscle. An aesthetic physique developer must be able to look in the mirror with perfect judgment. Which body parts are over-powering the other? Does the right gastrocnemius present a powerful mirror image of the left? Even if the average person cannot tell, a true aesthetic stylist will recognize a minor fault in seconds. Therefore, the greatest aesthetic physiques always employ the Goldilocks principle. Everything is ‘just right’ and works in balance. Whereas many bodybuilders try to steal the show with one or two highlights, the aesthetic man is an all-rounder. His physique is complete without a single section overshadowing or compensating for another. Rather than aiming for bulk, the best aesthetic bodies rely on proportion. Consequently, training for aesthetics is more than just blasting muscle groups and hoping for results. Muscle gain is a strategy carefully planned out by the artist himself. Bodybuilders must first understand their genetics. Some traits are more desirable than others, such as long limbs, lower muscle insertions, broad shoulders and thick wrists. Yet, each person is born unique, and can only work with what nature bestowed upon them. Making the most from the body you have can be achieved with an expert understanding of proportion. Put simply, how the size of individual muscles correspond to one another. It’s all about how the tiny details play out in the bigger picture. During the Golden Age of Bodybuilding in the 70s and 80s proportion was held in the highest prestige. Today it’s often replaced with an emphasis on size and conditioning, hence why the aesthetic physique is often called the ‘classic’ look. Whilst training for aesthetics top bodybuilders will often measure muscle groups. They do this not just to check muscle growth, but to work out the relationship between each group. Many even employ the ‘golden ratio’ rule made famous by artists and derived from Mother Nature herself. For a great proportional perspective check out the harmony of IFBB Pro Steve Cook below. A way of ensuring success as an aesthetic bodybuilder is symmetry. Balance is the key to achieving this. Many factors come into play when looking at creating this balance. One of the most fundamental is muscle size and definition. Simply put, both the left and right should mirror one another visually, both back and front. For this reason, equally training both sides of the body is vital. If the right bicep is worked harder than the left for example, it will grow into a more highly-adapted shape. Obviously, any hope of a balanced muscular physique will then be wiped out. Plus, balance and symmetry aren’t only unilateral. If a bodybuilder presents an upper body worthy of the Mr. Olympia stage, that doesn’t automatically mean he deserves a spot. His lower half must also be equally developed to create an even and complimentary physique. The same runs true for aesthetic bodybuilders who may not compete too. Symmetry is a universally recognized signature of beauty that attracts the eye. Just take a look at the pioneer of aesthetics and modern bodybuilding Frank Zane. He shows a brilliant balance in every plane. For this reason, ‘The Chemist’ is regarded as one of the best muscular physiques of all time. Masterpieces are only created through a well-thought-out process. Because of this, aesthetic physiques can take years to build, shape, and sculpt. Training and diet play a huge part in the results athletes can achieve. If one or the other isn’t quite right, their body will be lacking in certain areas. Aesthetic bodybuilders must be extremely dedicated. Genetics do play a part in body composition, this is true, but they aren’t everything. Athletes must live and breath the bodybuilding lifestyle if they want to taste success. In order to build muscle, the body must face challenges. By training against the resistance of gravity, an athlete can force adaptations. Their muscles must simply grow to meet the stress of whatever stimulus they are given. Therefore, the aesthetic artist’s weapon of choice is iron. By working against the pull of the earth during their workout routines they can create tiny muscular microtears. These tears then adapt and grow back bigger, thicker, and stronger. Understandably this is how a bodybuilder quite literally builds their body. And depending on their goals they will train certain muscle groups harder than others. A common method of attack amongst aesthetic bodybuilders is the split routine. Rather than train their full-body in one day they divide sections over days. This makes sure they can exhaust that muscle group to its maximum potential and have plenty of time to recover. Cardiovascular training will typically depend on one of two things. If a competition is on the horizon or the athlete has a slow metabolism, cardio is a must for fat loss. Bulking bodybuilders, however, may keep cardio workouts to a minimum. Mostly this depends on the individual. In bodybuilding circles, there’s a saying that 90% of success happens in the kitchen. Lean proteins, healthy fats, fibrous vegetables, and high-quality carbohydrates are all necessary for the aesthetic athlete. Protein as a priority should be top of your list. Amino acids are the building block of protein and are necessary for repairing muscle. As discussed earlier, a bodybuilders muscles must be able to handle the hard workouts they’re put through. Protein allows muscle tissue to repair, grow, and adapt over time. 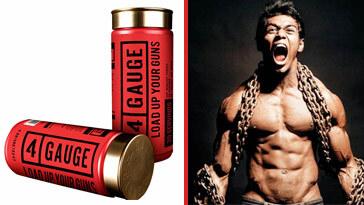 Bodybuilders choose complex carbs over simple sugars because of their flow energy release. A competition-season bodybuilder will also often only eat that around their training times. Athletes often include oatmeal as part of breakfast before working out, for example. Aesthetic focussed people often eat healthy foods despite their high-calorie content. Their important role in testosterone production cannot be overlooked. 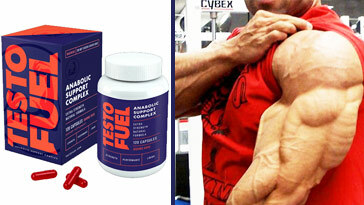 Something that can be naturally amplified using T boosting supplements such as TestoFuel. Body fat must be kept below 10% on average around competition and photo-shoots. Therefore, every calorie must count towards helping achieve certain physique goals. The only exception is during a one-off cheat meal to help balance hormones and crush cravings. Aesthetic bodybuilding is a style of physique development centered around imagery. Rather than focus solely on size, strength, or power an emphasis is placed on overall looks. Judges, fans, and athletes alike look for symmetry, proportion, and definition. Muscles must work in harmony with one another if a physique is to be considered truly aesthetic. Ancient Greek standards of beauty and masculinity set the template. Today, we still refer to the aesthetic ideal as being Adonis-like. Men see it as who they want to be and strive for the hard shredded figure in the gym. For women, it shows a mate who is healthy, strong, and genetically superior. 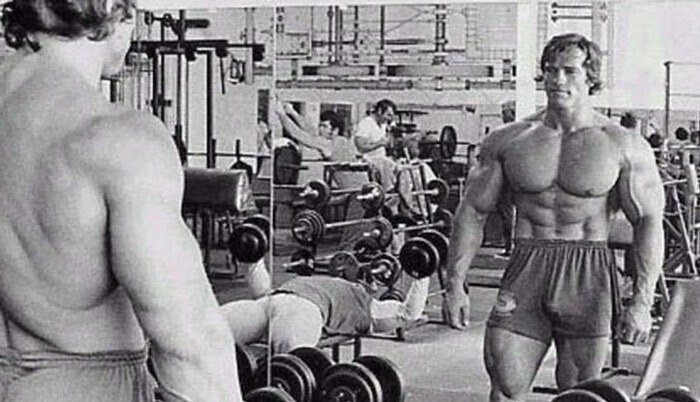 Many considered the 70s and 80s to be the pinnacle of aesthetic bodybuilding. However, due to the rise of the internet and social media, the look is making a comeback. 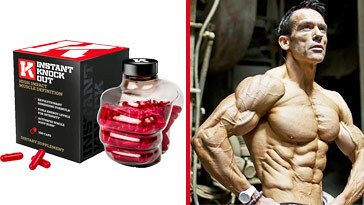 Plus, aesthetic physiques are highly sought after in the modeling and supplement industry. 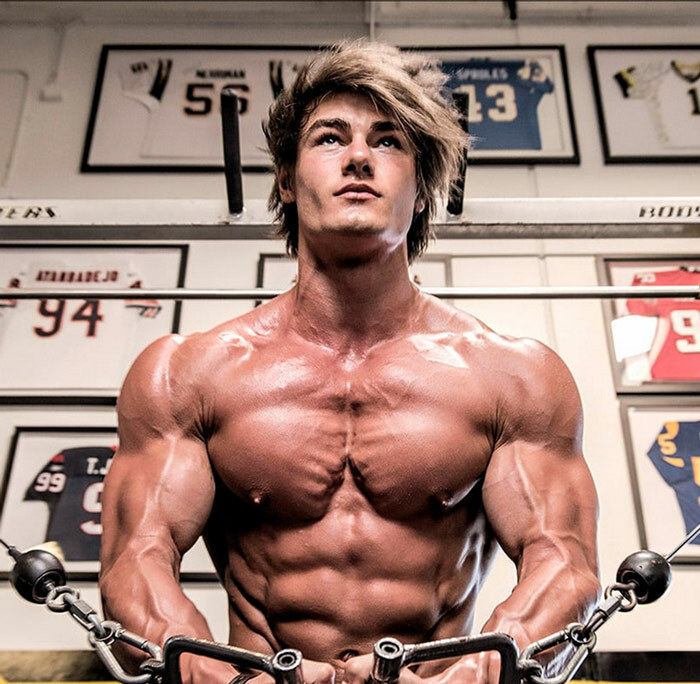 Many modern aesthetic physiques have risen to fame through their online profiles. Some have fans and followers supporting them in their careers. For some aesthetic bodybuilders, becoming a social media influencer can provide a lucrative income. Gym Myths: Do You Really Need to Train Abs?